Harcourt is one of the larger publishers of textbooks for traditional classrooms. I’m generally unenthusiastic about most of their offerings. However, when Harcourt purchased the Saxon line of products, they started taking a stronger interest in home education… or at least that is how it looks from my perspective. One part of that interest has resulted in homeschool packages for some of their courses, sold through the Saxon Homeschool division. 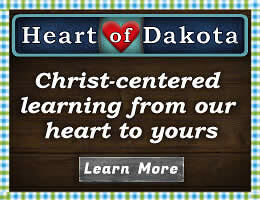 Harcourt Horizons Social Studies series is available in homeschool packages for each level of grades one through six. Originally, the homeschool packages included the two-volume teacher’s edition, student textbook and activity book on CD-ROM, and an Assessment Program book. 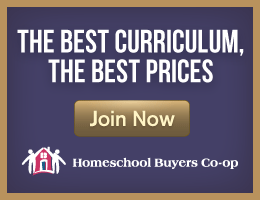 Harcourt has recently created alternative homeschool packages that make a lot more sense and cost about half as much with a hardcover student text, a homeschool version of the teacher's edition on CD-ROM, and separate student activity book. Activity book teacher's editions that have overprinted answers come with packages for grades 3-6, while answers for activity books are on the CD-ROM for grades 1 and 2. As I write this review, both options are available, but I suspect the original homeschool packages will disappear at some point. The teacher’s editions are essential to this program since they include all sorts of expanded activities to teach to different learning styles as well as across the curriculum. Students are directed to outside research, writing activities, creation of timelines, art projects, critical thinking, discussions, journaling, work with graphic organizers (provided in the activity book), games, role playing, and much more. On the new homeschool teacher's edition CD, activties in the original TE that require at least two or more students working together have been dropped. Almost everything from the original teaching instructions has been retained or adapted for homeschoolers, but student pages are not reproduced. The result is actually an easier-to-read presentation for the parent/teacher. 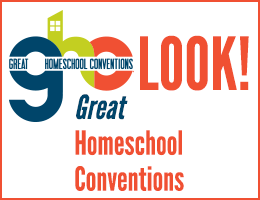 Even in the homeschool TE, there are probably more suggestions and activities than you will be able to use. In the print version teacher’s editions (included in the original homeschool packages) are extras at the back that might be useful: blackline masters of maps, graphic organizers, journal outlines, timeline formats, and charts. Print TEs also have optional holiday activities such as recipes, crafts, songs, etc., that tie in with other cultures and historical events, and reproducible, double-sided flashcards help students master vocabulary for each unit. These are not included on the CD-ROM TE but none of them are essential. The CD-ROM homeschool teacher's editions include teaching instructions, answers, assessments, and answer keys for assessments. It does take a little time to become familiar with the TE in either version and sort out the various options you might use, but this is simpler with the CD versions. Once that’s done, it should be fairly easy to teach the lessons. Students should do some independent work, but discussion and interaction will also be needed so these courses do require some direct teaching. The series takes a broad social studies approach for the lower grade levels but becomes more concentrated on history at upper levels. I requested the World History course for sixth grade level for review since the homeschool marketplace seems to have only a few interesting choices for World History at that level outside unit study programs. Those choices are even fewer for those who prefer a non-sectarian presentation. Harcourt Horizons is definitely non-sectarian, yet it does include some respectful coverage of religions including a discussion about studies regarding religious freedom in recent years. In World History, it does begin with discussion of “modern humans” living in eastern and southern Africa more than 100,000 years ago. But it doesn't discuss evolution directly or present a chain of human development from non-humans. The overall political tone leans “gently” toward a conservative view by, for example, pointing out Stalin’s purges and other evils of Communism and actually giving Ronald Reagan credit for positive events. Beyond the historical content which includes broad coverage of both eastern and western civilizations, this text also includes basic coverage of geography. Much of this is presented in a unit on map and globe skills at the beginning of the book. The student text pages—which students view on the computer if you select the original package —are almost a cross between the presentation style of DK and Usborne type books and traditional texts. They are full of color and illustrations with lots of boxes and insets that make them visually engaging. Most of the words of text that students need to read still run in traditional columns, but there’s less of it than in many other texts. Lest you conclude that students will learn less, recall the plethora of extended activities from the Teacher’s Edition and the activity books themselves. For those purchasing the orginal homeschool package, the student text CD-ROM has it’s own easy-to-use interface so it is easy for the student to get to the correct chapter. The CD also includes printable worksheets (the same as those in the activity books) that correlate with lessons. I have one primary criticism regarding the CD-ROM version of the textbook: on many pages, the text fonts lack the clarity they have on other pages, which means it takes a bit more effort to read those pages. Note that there are alternative viewing options such as selecting a larger font that can help deal with this issue. Student activity books reinforce text information with a variety of activities. Students use graphic organizers to analyze and summarize what they have learned in the text. They use data supplied in the activity books to answer questions. They write out complete answers to essay questions and complete fill-in-the-blank and multiple-choice questions. They also work with maps and read passages of new material and answer comprehension questions. The Assessment Program book presents tools for different forms of assessment: informal evaluation, self-evaluation, performance assessment, portfolios, standard tests, and performance tasks. The first four types are presented as general methods to be used. The standard tests and performance tasks are specific to each unit of the text. Performance tasks generally include individual projects, group projects, and/or student presentations. You are welcome to choose any or none of these as you wish. Answer keys (when appropriate) are included at the back of the Assessment Program book. In the new version of the homeschool package, the assessment program is included on the CD-ROM while it is a printed product in the original package. Overall, I think Harcourt Horizons World History might be a good choice for many home educators, especially now that a more affordable option is available. I would recommend the new versions of the packages since the print textbooks and activity books are much more practical than those on CD-ROM.